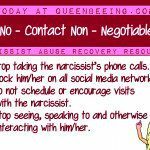 Going no contact is never easy, and when it comes to a friend who is a toxic narcissist, you may have not even considered the possibility of no contact. In fact, unless you can seriously minimize contact, the fact is that there’s really no other way to eliminate the toxicity that’s creating stress in your life. 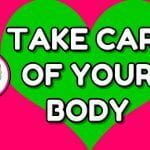 But toxic is toxic – and because of the codependent nature of a narcissistic friendship, you will experience similar feelings to a breakup or divorce. And, if you ask me, this is especially true if you’ve had other codependent relationships in your life. When a romantic relationship breaks up, you may be able to expect lots of sympathy from your family and friends. However, they may not even notice when a friendship ends. Even though friendships are essential to our wellbeing, we often fail to give them the attention they deserve – and there’s another layer to ending a toxic friendship: codependency. It can be especially difficult when you start drifting away from a friend who has played a big part in your life. If you’re angry or upset because a friendship is over, here are a few tips for dealing with your feelings and moving forward. 1. Embrace change . Most friendships naturally bloom and fade as you move from one stage of life to the next. Recognize the milestones in your life like graduating from college and becoming a parent. Celebrate your progress even when it means moving in new circles. 2. Spot your patterns. Be honest about your role in how your relationships end. Maybe you’ll want to handle things differently. 3. Acknowledge conflict. Ending a relationship is sometimes a wise choice, but sometimes we lose valuable relationships because weÕre afraid to address sensitive issues. Learning to resolve conflicts may help you to resurrect your friendship or be better prepared for your next challenge. 4. Cherish your memories. You can remember the happy times even if you stop hanging out together. Hold onto those funny stories and favorite photos. 5. Think objectively. Maybe you’re taking things too personally. When you see the friendship more clearly, you may realize that you have done nothing that you need to regret. 6. Consider counseling. If time passes and you’re still feeling distressed, you may want to speak with a professional therapist. They can help you to get to the bottom of whatÕs bothering you and change your behavior. 1. Seek support. Let your family and friends know when you’re going through a difficult time. Tell them how they can help you, whether you need someone to listen to you or just remind you that they care. 2. Pursue your interests. Fill your time with enriching activities. Redecorate your living room or volunteer at an animal shelter. Sign up for an adult education course or buy a membership at a local fitness studio. 3. Make new friends. Investing too much in a single relationship can be overwhelming for your friend and leave you vulnerable. Use this time to expand your personal and professional networks. 4. Practice self-care. Avoid drowning your sorrows in junk food and long naps. Stick to a healthy diet and regular exercise. 5. Clear away reminders. Temporarily, it may help to remove pictures and objects that remind you of a former friend. Box them up and put them away in a closet or spare bedroom. You can bring them back out when you’re feeling more stable. 6. Write a letter. Putting your thoughts down on paper can be a safe and effective way to face what has happened and let go of the past. Focus on what you can learn from the experience rather than making accusations. You’ll usually accomplish more by keeping the letter to yourself instead of mailing it. 7. Be gracious. You might feel tempted to make unkind remarks to mutual acquaintances or post negative comments on social media. You’ll heal faster if you resist that urge and resolve to rise above any pettiness. Wish your one-time friend well and prepare for your own happy future. You’ll probably gain and lose many friends over the course of your life, but each relationship can help make you kinder and wiser. Saying goodbye to a toxic friend can be an opportunity to take control of your life, let go of what doesn’t serve you and learn how to cultivate new and deeper connections. 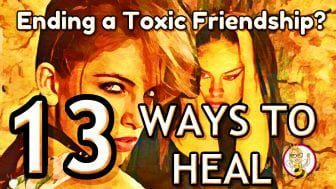 Your Turn: Are you dealing with a toxic friendship and you’re thinking of going no contact? Are you dealing with the aftermath of a toxic friendship with a narcissist? Tweet me your thoughts @angieatkinson!